The Amakhala Game Reserve, Eastern Cape, South Africa is a Malari Free Big Five wildlife destination created when the local farmers - many 5th generation Frontier Settlers, pooled their resources, dropped the dividing fences to their farms and in 1999 began their joint Conservation initiative to reintroduce the wildlife that naturally occurred in this really game rich area of the past, and created the Amakhala Game Reserve. Today there are 11 Lodges on the Amakhala Game Reserve and the development and rehabilitation of the Game reserve is ongoing. Some of the Lodges are owner managed and there is a variety of options from 3 to 5 star, tented, colonial homesteads or the classic bush lodges. 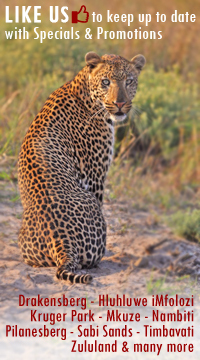 The Big Five, loin, elephant, buffalo, rhino and leopard all occur in the Amakhala Game Reserve although probably as a legacy of their persecution in the past the leopard are rarely seen. Let us advise you on which venue might suite you best? 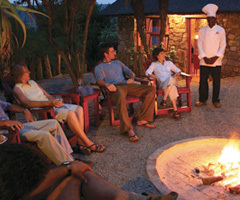 Accommodation at Bukela Lodge is luxurious and of an International standard. The main lodge comprises of a reception, dining and sitting area with a central fireplace which is always welcome in winter, a media and library area with Internet, television, dvd player, games and books and a large wooden pool deck overlooking a small dam frequented by buffalo. 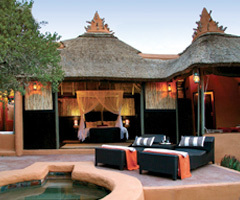 Each of Bush Lodge's Luxury Tents, have tented walls, wooden floors and a thatched roof. They each have a secluded, private deck overlooking a watering point and their own private plunge pool. The suites are air conditioned (hot and cold), have fireplaces, large oval baths and outdoor showers. This Settler farmhouse consists of, the Bottom House, and an elegantly restored early Edwardian cottage, the Top House. On offer is a choice of en-suite serviced bedrooms meeting three star grading requirements. A family suite is available on request. All rooms are B & B. The main lodge area and the three luxury tented chalets are elevated on expansive wooden decks that offer panoramic views of the open plains of the Amakhala Game Reserve below. 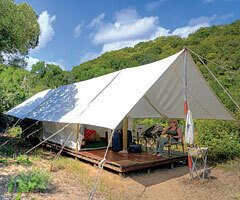 The tents are all positioned to ensure privacy, each unit having an en-suite bathroom and romantic outside shower. 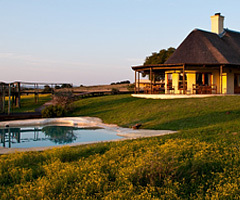 Hlosi Game Lodge's six suites set on the side of a hill above a plain, with views of the open savannah area and the animals there. The four double suites and two 2-roomed family suites may also be booked exclusively as an intimate venue for small team-building events, conferences and weddings. 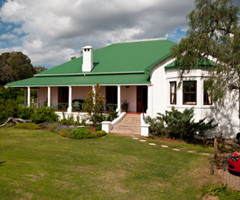 The Country House on Leeuwenbosch caters for the whole family. We offer two family suites, baby sitting services and a children's programme. Two Historical colonial manor houses run by Bill and his wife Rose who have been hosting guests since 1992 and their special brand of hospitality draws guests back year after year to Leeuwenbosch. 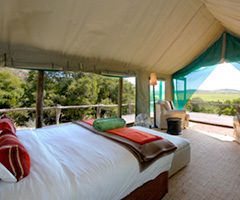 Riaan and Julie Brand have created an "out of Africa" primitive styled tented camp . Their classic 1920s style safari camp is modeled on those of the heyday of exploration, that golden era with adventure around every corner. 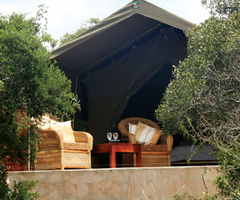 Adventure can certainly be had in the Amakhala and Shamwari Game Reserves when staying at Quatermain's Camp. 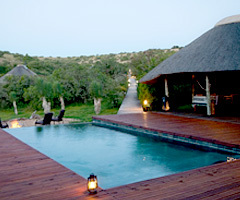 This intimate thatched lodge with its unique air-conditioned safari huts offers all the comforts of a luxury four star lodge and is an undisturbed retreat where you can regenerate your soul and tune into the sounds of nature. The Four Star, Woodbury Lodge in the Malaria free Amakhala Game Reserve, is set adjacent to a beautifull gorge and cliff face above the plains and valley of the Bushmans River in the Eastern Cape. Guests are accommodated in five comfortably appointed stone-and-thatch sleeping lodges, each with air-conditioning and en-suite bathroom. This three star tented camp has seven twin / double tents set in amongst the Albany thicket vegetation, ensuring pricacy, each with own bathroom en suite. The toilets are separate. There is a central thatched area with bar, view deck and dining and lounging facilities. 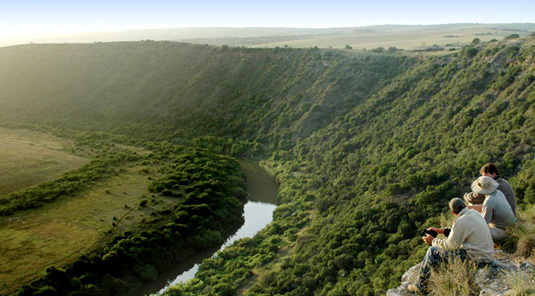 The Amakhala Game Reserve is renowned for its spectacular topography, having 5 of South Africa's 7 biomes. It is a particularly diverse and picturesque reserve, with the Bushman's River meandering through it. Amakhala boasts an abundant variety of wildlife including the Big 5,lion, elephant, buffalo, rhino and leopard. Leopard are however rarely seen due to their secretive nature, being nocturnal and probably a legacy of their persecution be the farmers in the past. With over 250 species of birdlife and the large diversity of animal species one experiences on game drives, night drives, walking safaris and boat cruises, the Amakhala Game Reserve offers guests an exceptional game viewing experience. 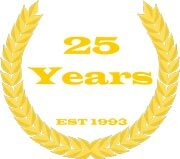 At the exclusive Annual Adventure Province (Eastern Cape) Tourism & Conservation Awards on 24th March 2011, Amakhala Game Reserve was the winner of the "Best Private Game Reserve in the Eastern Cape" category. 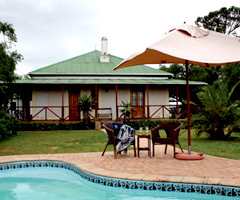 The Amakhala Game Reserve is also the only Private Game Reserve in the Eastern Cape to have Fair Trade Certified Lodges, a testament to the emphasis placed by the Amakhala Lodge owners on their social responsibility and support for the local communities. 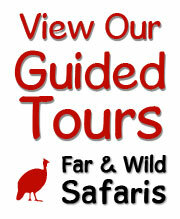 The FTTSA certification label is an independent endorsement of fair and responsible tourism practice in South Africa. It is based on adherence to specific criteria such as fair wages and working conditions, fair distribution of benefits, ethical business practice, and respect for human rights, culture and the environment.